Team Strength Sdn. Bhd. is a kitchen hardware & sanitary supplier company. 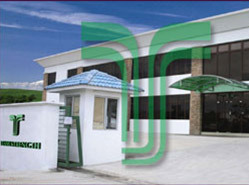 Our company is located in Kampung Baru Sungai Buloh, Selangor, Malaysia. Whatever your kitchen needs, we stylishly cater for every kitchen requirement. Our vision for business diversification and expansion has made the company a major importer of sanitary wares, furniture, kitchen accessories and various others household products.